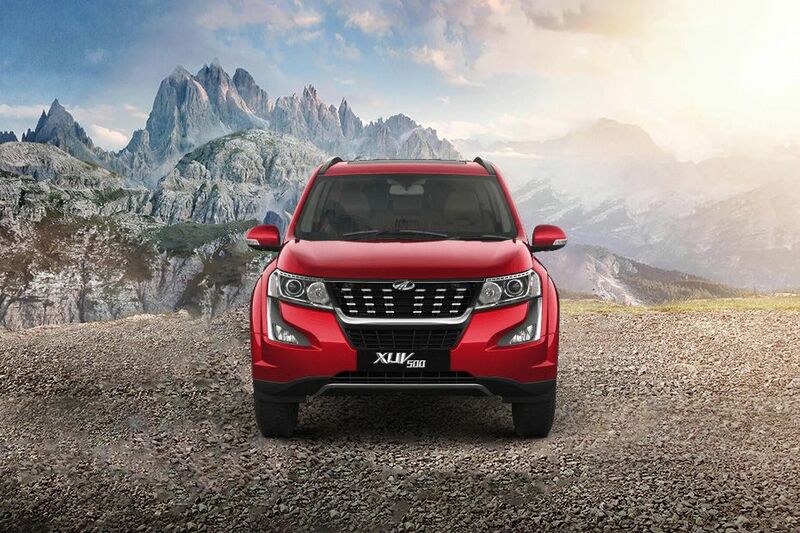 Mahindra XUV500 is currently on offer with a powerful 2.2-litre mHawk 140 diesel engine option. It churns out 140bhp of maximum power at 3750 rpm along with a torque of 330 Nm between 1600 to 2800 rpm. It delivers a mileage of 16 kmpl. XUV500's biggest competitors are Tata Safari Storme, Hyundai Creta, Maruti S Cross, Nissan Terrano and Renault Duster. Nissan Terrano comes with 3 engine options:, 1.6 litre MPFI petrol engine – it churns out 102.53bhp of power at 5,850 rpm along with a torque of 145 Nm at 3,750 rpm. Its delivers a mileage of 13.24 kmpl., 1.5 litre dCi Pure Drive diesel engine – 83.8bhp of maximum power at 3,750 rpm in combination with a torque of 200 Nm at 1,900 rpm. This engine offers a mileage of 20.45 kmpl., 1.5 litre dCi Pure Drive diesel engine (110 PS) – it produces 108.45bhp of power at 3,900 rpm and 248 Nm of peak torque at 2,250 rpm. Its mileage is 19.01 kmpl. Tata Safari Storme is currently available with a 2.2-litre diesel engine. , 2.2-litre VARICOR diesel engine – it produces 148bhp of power at 4000 rpm along with with a torque of 320 Nm between 1700 to 2700 rpm. 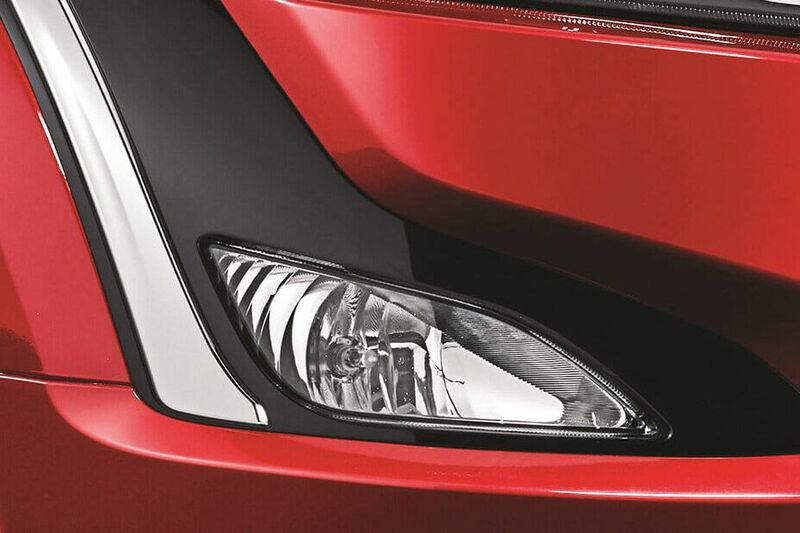 The same in high-end VX 400 NM trim produces a power of 154 bhp at 4000 rpm and yields 400 Nm torque between 1700 to 2500 rpm. Both tunes offer a mileage of 14.1 kmpl. Hyundai Creta comes with with three engine options as well., 1.4-litre U2 CRDi diesel engine – 88.7bhp of power at 4000 rpm and 219.7 Nm of peak torque between 1500 to 2750 rpm. Mileage: 21.38 kmpl, 1.6-litre U2 CRDi VGT diesel engine – 126.2bhp of peak power at 4000 rpm and 259.9 Nm of hammering torque between 1900 to 2750 rpm. Mileage: 19.67 kmpl. 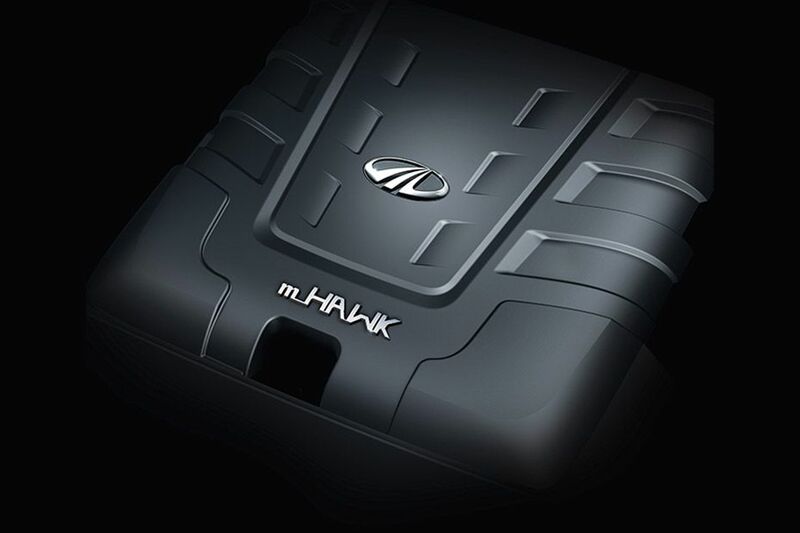 (17.01 kmpl with automatic transmission)., 1.6-litre VTVT petrol motor – 121.3bhp of power at 6400 rpm along with 151 Nm of peak torque at 4850 rpm. It offers a mileage of 15.29 kmpl. 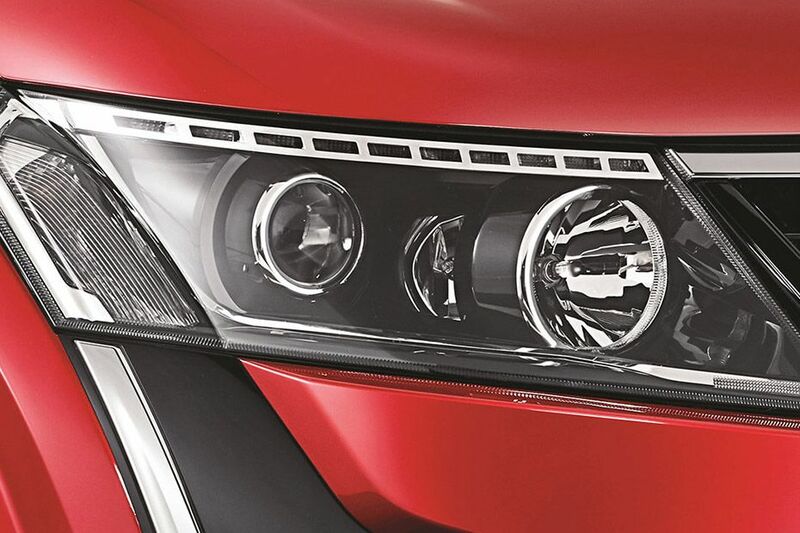 Mahindra XUV500 has a bold headlight cluster featuring new static bending projector headlamps with stylish light guides. They add to the robustness of the front facade. 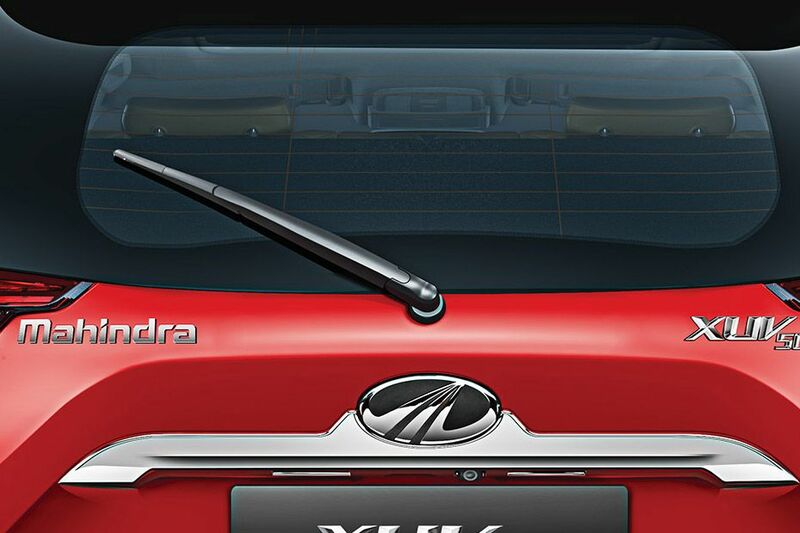 The front facade of XUV500 has a masculine appeal owing to Mahindra's signature radiator grille with chrome inserts. 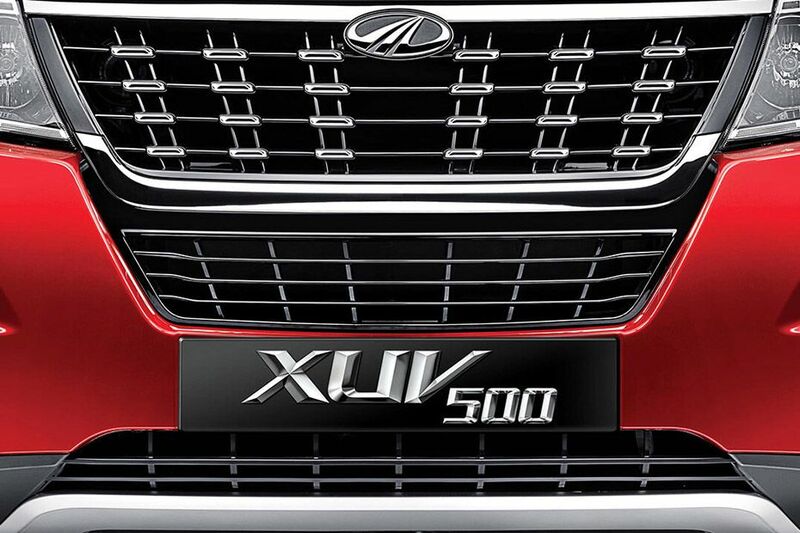 The company's insignia is placed in the center of this grille adding to the already bold look of the SUV. 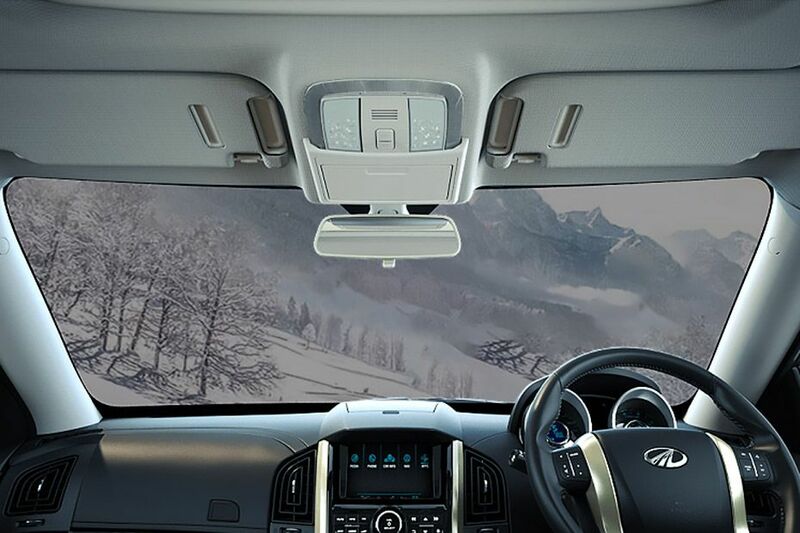 Also, it features hydraulic assisted masculine bonnet that emphasizes its sporty appeal. XUV500's W10 and W10 AWD variants are offered with passive keyless entry system, while the rest of the trims come with remote central locking with flip key. 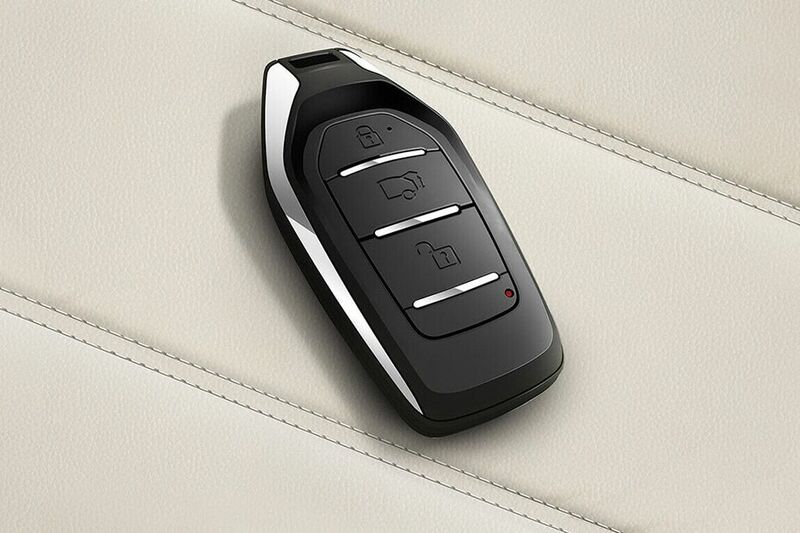 Keyless entry comes as a standard feature in the likes of Duster, S Cross and Hyundai Creta. 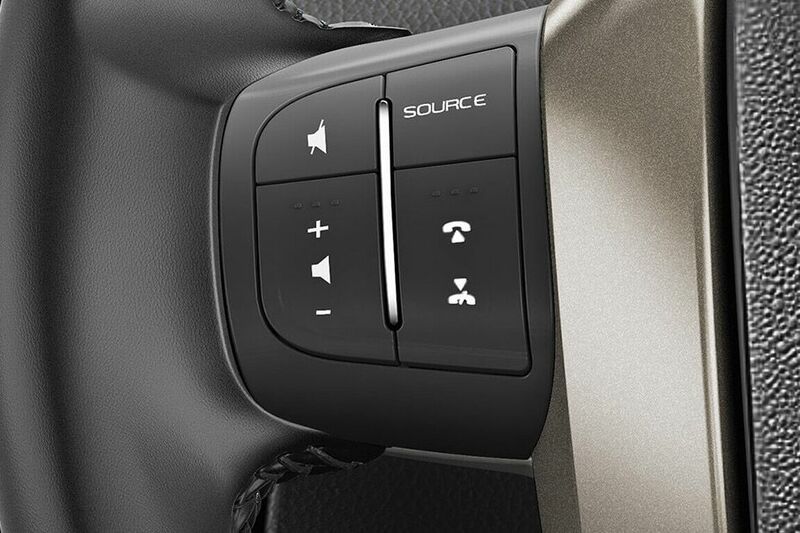 While Tata Safari Storme features a remote central locking with flip key. 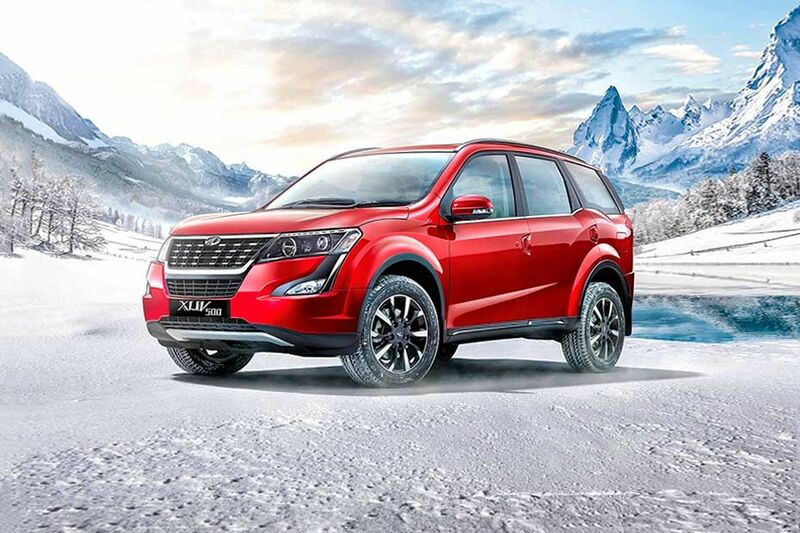 Mahindra XUV500 comes with 17-inch steel rims as standard in W4 and W6 trims. While its W8 and W10 trims are available with stylish alloy wheels. They are covered with P235/65 R17 sized radial tubeless tyres. Ground clearance of this SUV is 200mm. 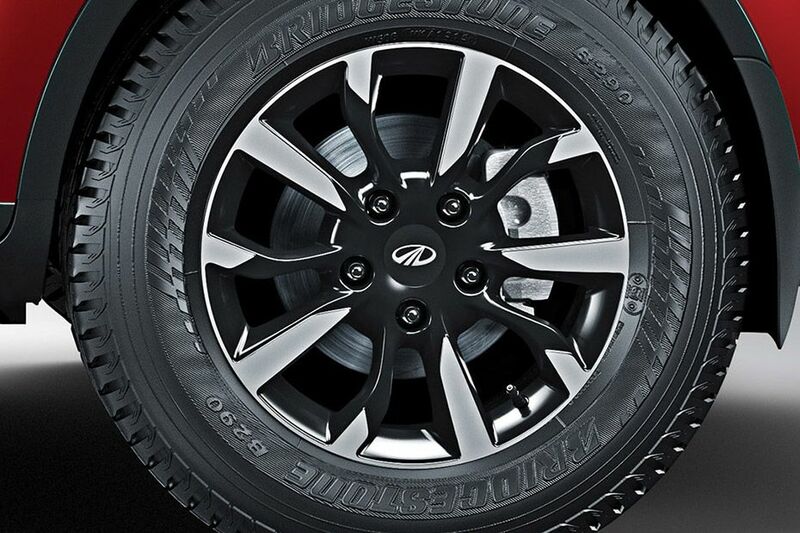 Tata Safari Storme's top end trim comes with alloy wheels, while the base and mid range trims have 16 inch stylized steel rims. They are wrapped in 235/70 R16 sized tyres. , The ground clearance of the SUV is 200mm. XE and XL trims of Nissan Terrano come with 16 inch steel rims, while the next three variants come with machined alloy wheels of the same size. They are wrapped with 215/65 R16 sized radial tubeless tyres. This SUV has a generous ground clearance of 205mm. Base RxE version of Renault Duster has 16-inch steel rims, while RxL and RxZ versions come with sporty aluminum alloy wheels (Option in 85PS trim). The range-topper RxZ AWD comes with Anthracite alloy wheels of size 16 inches. They are covered with 215/65 R16 sized radial tubeless tyres. Ground clearance of this SUV is 205mm, while its AWD version has high ground clearance of 210mm. Sigma and Delta trims of Maruti S Cross comes equipped with 16-inch steel rims, while the rest come with 16-inch alloy wheels. They are wrapped with 205/60 R16 sized tubeless radial tyres. 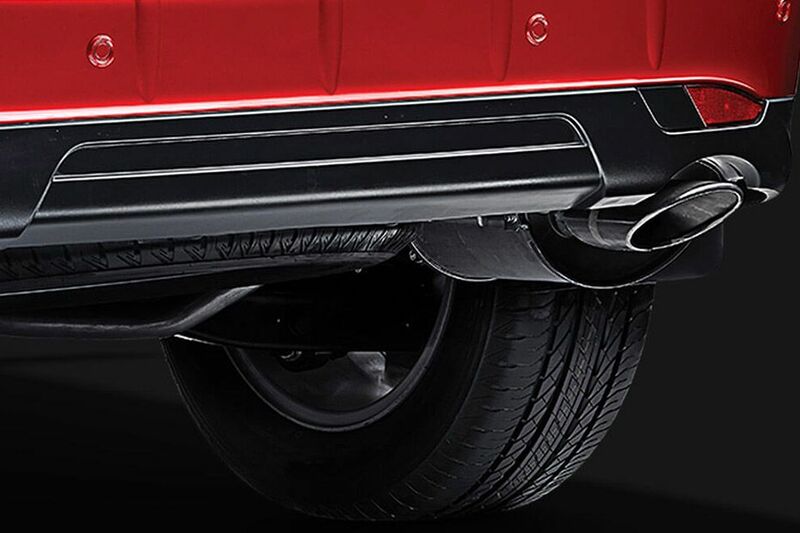 The car has a generous ground clearance of 180mm. Base and S trims of Hyundai Creta are available with 16-inch steel wheels, while the others come with alloy wheels of same size. They are wrapped-in with 205/65 R16 sized tubeless tyres Here, the SX (O) trim comes with 17-inch diamond cut alloy wheels embraced with 215/60 R17 sized radial tubeless tyres. Its ground clearance is 190mm. 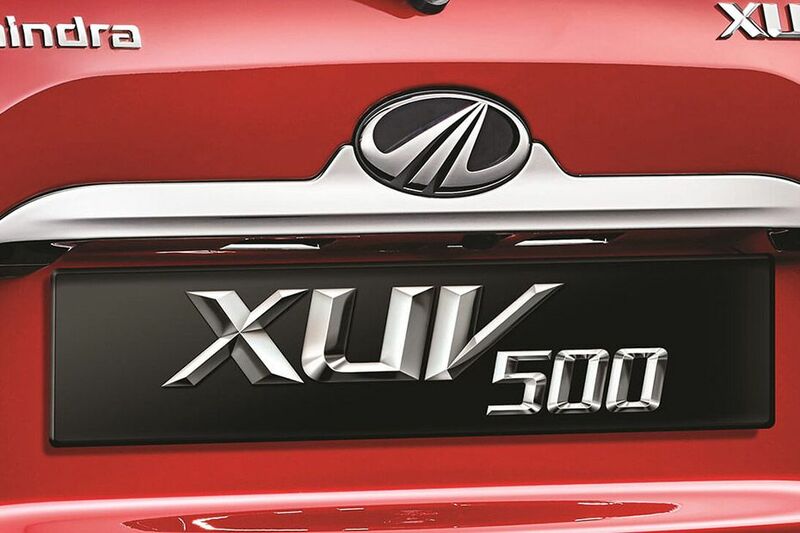 Mahindra XUV500 is currently available in 7 colors – Sunset Orange, Pearl White,Opulent Purple, Volcano Black, Tuscan Red, Dolphin Grey and Moondust Silver. Creta is 315mm smaller, 110mm less wide and 155mm shorter than XUV500. This SUV has about 190mm of ground clearance. S Cross 225mm smaller, 125mm less wide and 195mm shorter than XUV500. It has a ground clearance of 180mm. Duster is 270mm smaller, 68mm less wide, and 90mm shorter than XUV500. The car has a ground clearance of 205mm (210mm in AWD version). Nissan Terrano is 254mm smaller, 68mm less wider and 114mm shorter than Mahindra XUV500. 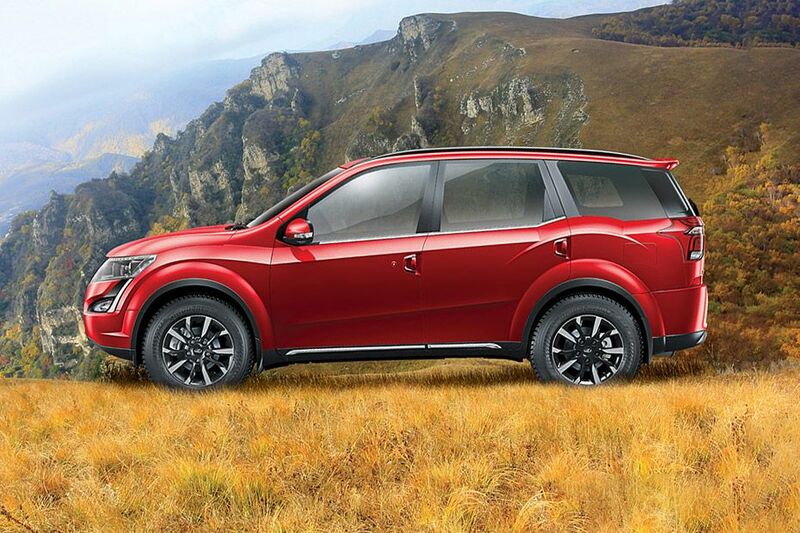 This SUV has a minimum ground clearance of 205mm. 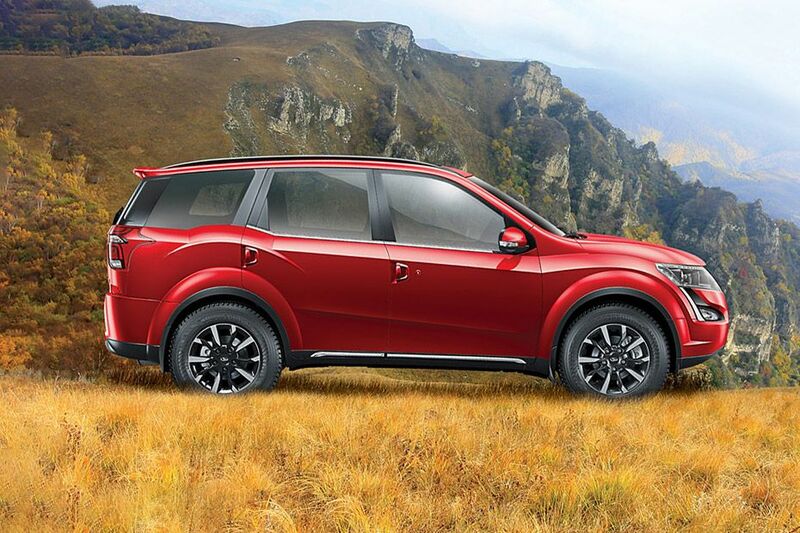 XUV500 comes equipped with disc brakes for all four wheels. 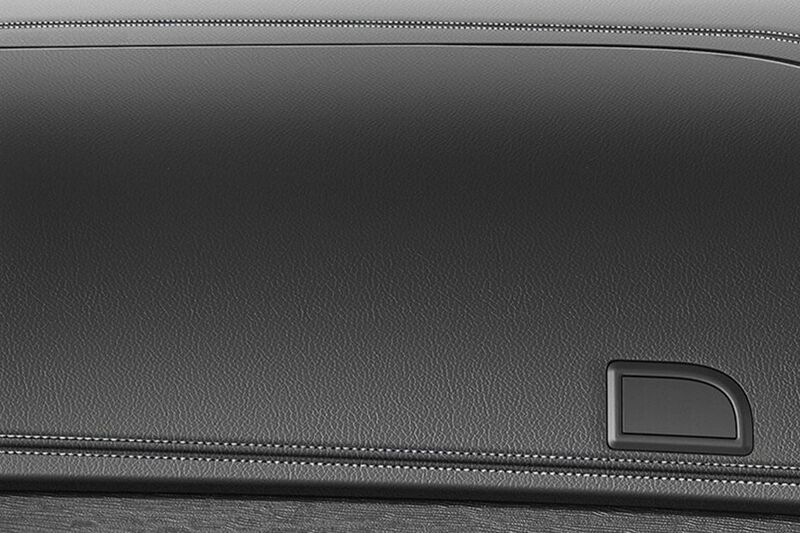 It also has ABS with EBD as standard across all the trims. Duster comes equipped with front ventilated disc brakes and rear drum brakes. , Petrol versions of Duster comes with ABS and EBD as standard. While in diesel trims, RxL and RxZ trims have ABS with EBD as standard (Option in RxL 85PS version). 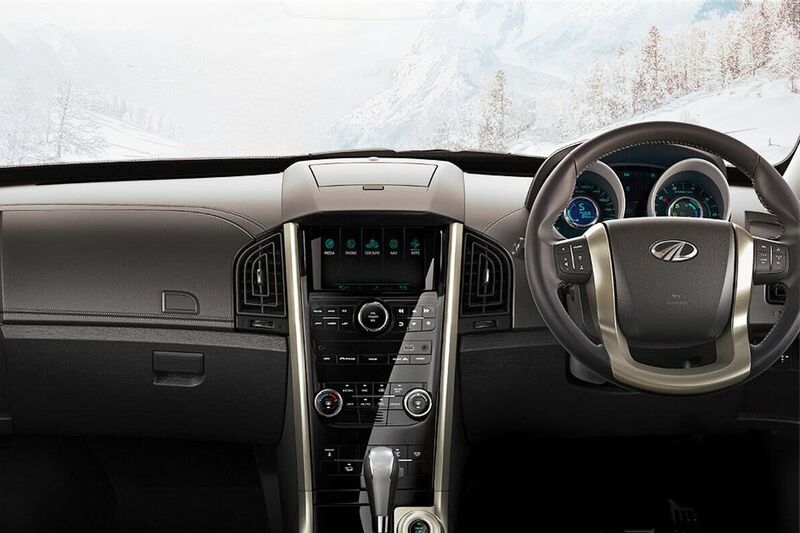 S Cross comes equipped with front ventilated discs and rear solid disc brakes. While the lower versions of DDiS200 trims have rear drum brakes. ABS comes as a standard feature across all the variants. The front wheels of Creta are equipped with disc brakes whereas the rear ones get drum brakes. 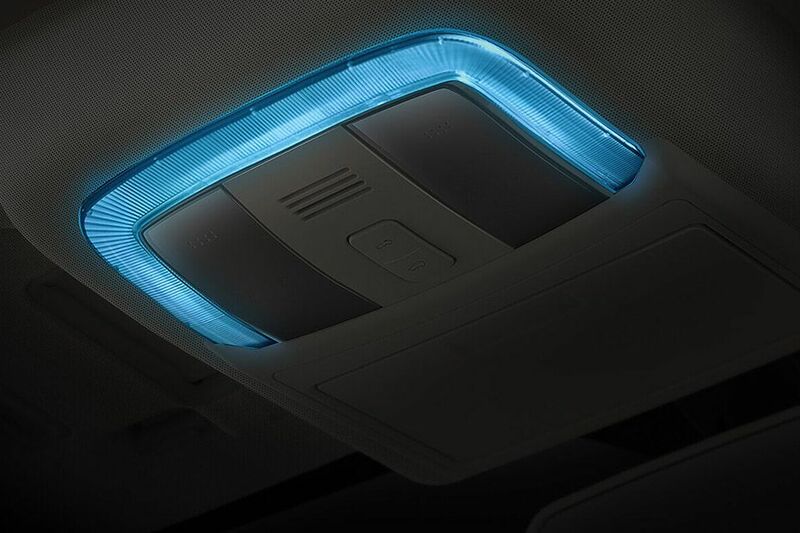 Features like ABS and EBD come as standard in the car. Nissan Terrano too comes with front discs and rear drum brakes. Except the base XE trim, all other variants have ABS and EBD with brake assistance system as standard. Tata Safari Storme has discs brakes fitted to all four wheels, wherein the front wheels are assembled with ventilated discs type. ABS and EBD are given as standard for all trims (except for base LX trim). 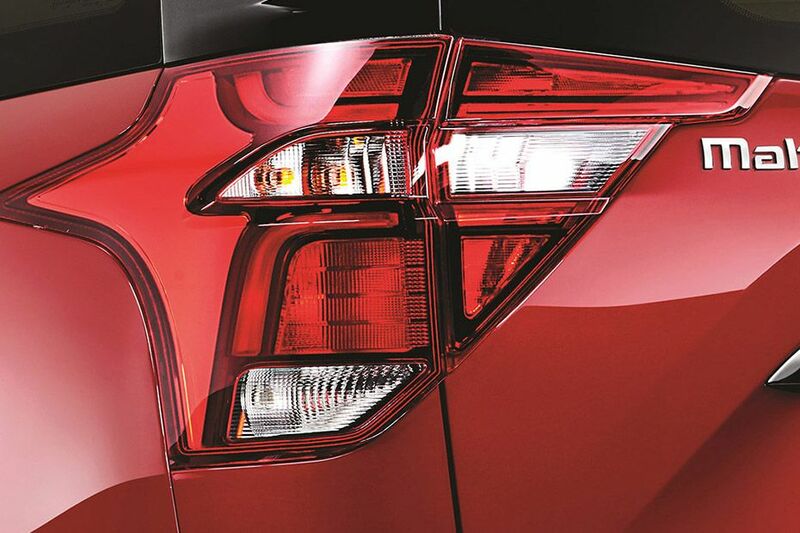 XUV500 has stylish set of taillight cluster at rear that blends into its design well. It is housed with brake lights, turn indicators and courtesy lamps as well. 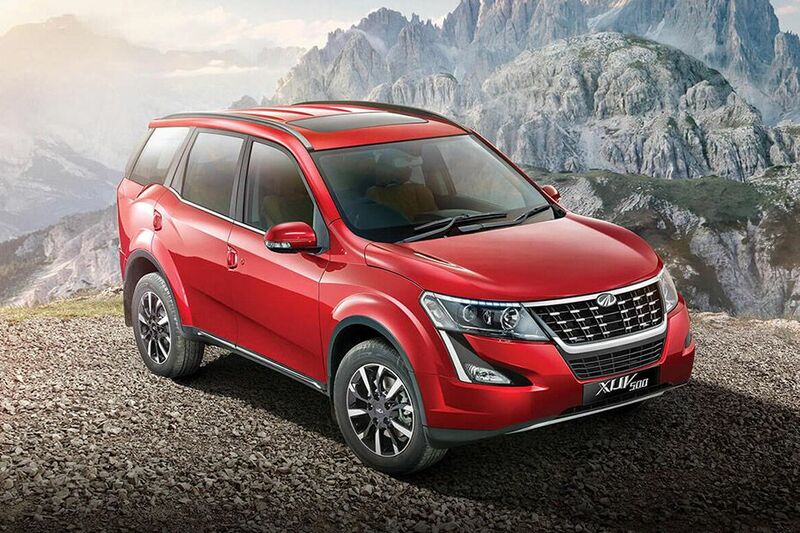 XUV500 has a cargo volume of 720-liters as boot capacity (with third row bench seat folded). The boot storage capacity of Duster is 410 liters and 475 liters for AWD and other variants respectively., Terrano has a boot capacity of 346 liters that can be extended upto 705 liters by folding the rear bench seat., The minimum boot storage capacity of S Cross is 353 liters that can be further increased to 810 liters by folding the rear seats., Creta has a boot capacity of 400 liters, which can be extended further by folding rear bench seat. , Tata Safari Storme has a cargo volume of 981 liters (with third row bench seat folded). 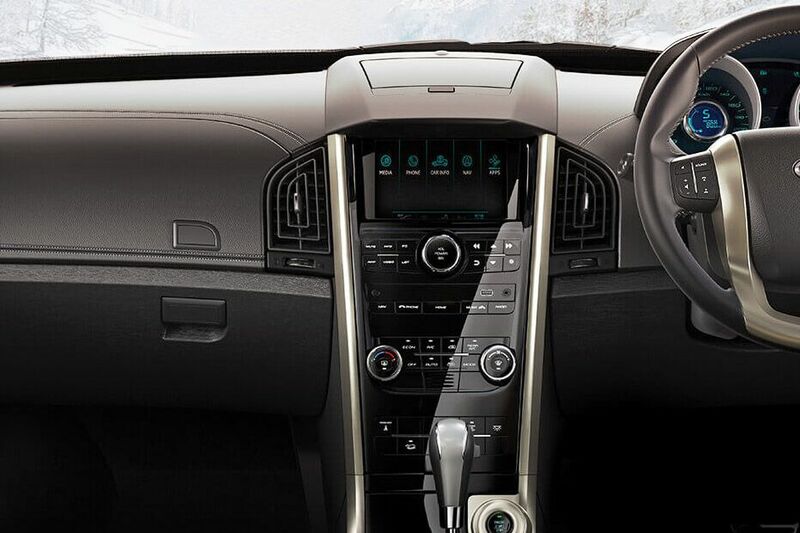 Except the base W4 trim, all the variants of XUV500 come with an advanced Intellipark system as standard. 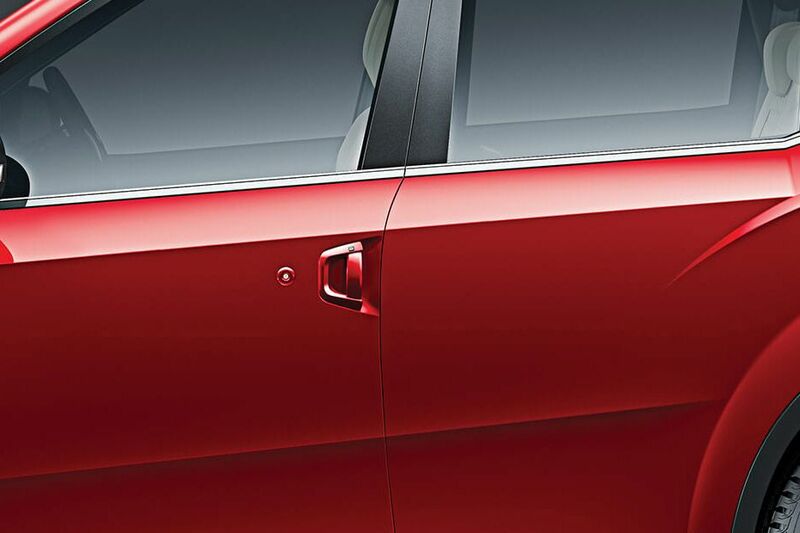 Additionally, W10 variants also have a reverse parking camera with dynamic assist. 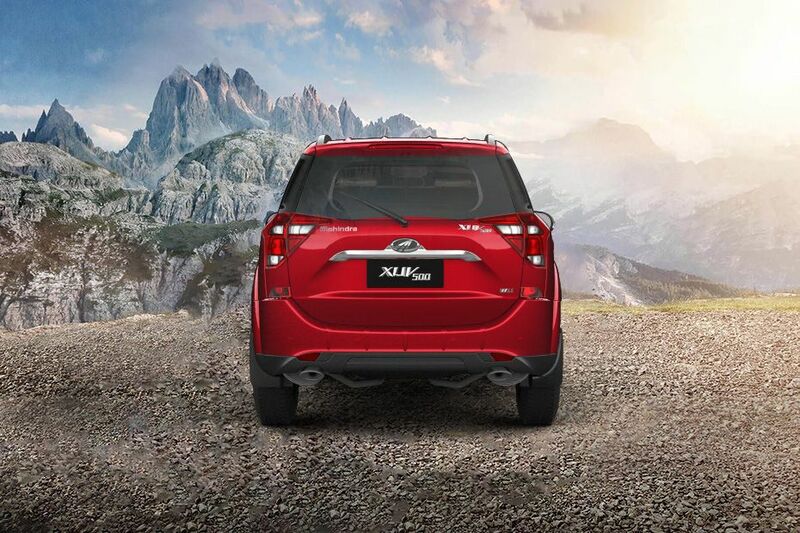 Terrano gets reverse parking sensors in XV and XV Premium trims. Except for the base models and RxL 85PS version, all the trims of Duster employs rear parking sensors. Except Sigma variant of S Cross, all other trims features reverse parking sensors with display. While the top end version also gets rear parking camera. , In Hyundai Creta, variants from S+ gets rear parking sensors as standard. While rear camera with steering adaptive guidelines display is offered for S+, SX+ and SX (O) trims. Only the VX trims of Tata Safari Storme features ultrasonic reverse guide system with graphical display in music system LCD screen. 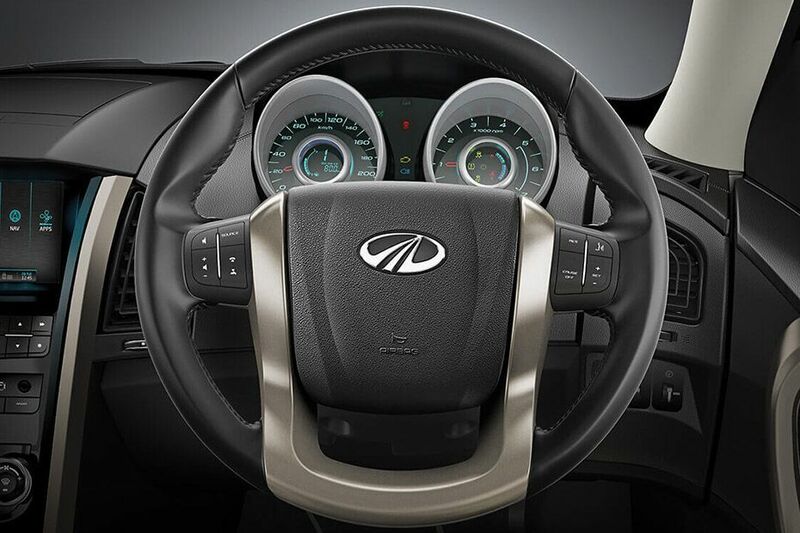 XUV500 gets a 4-spoke tilt and telescopic adjustable steering wheel with multi-functional switches. 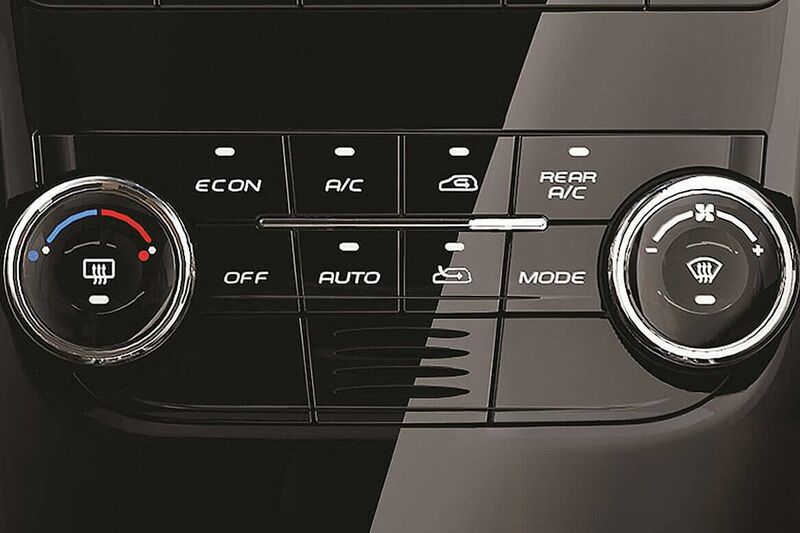 The instrument cluster has a trendy design with analogue gauges and MID display. It displays low fuel warning, digital trip metre, outside temperature, door ajar warning and rpm levels along with others. 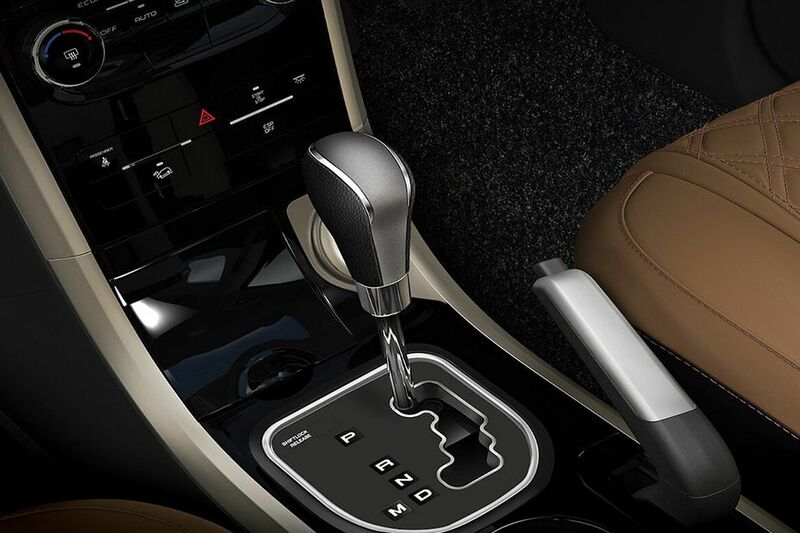 Mahindra XUV500 comes with 6-speed synchromesh manual gearbox as standard. 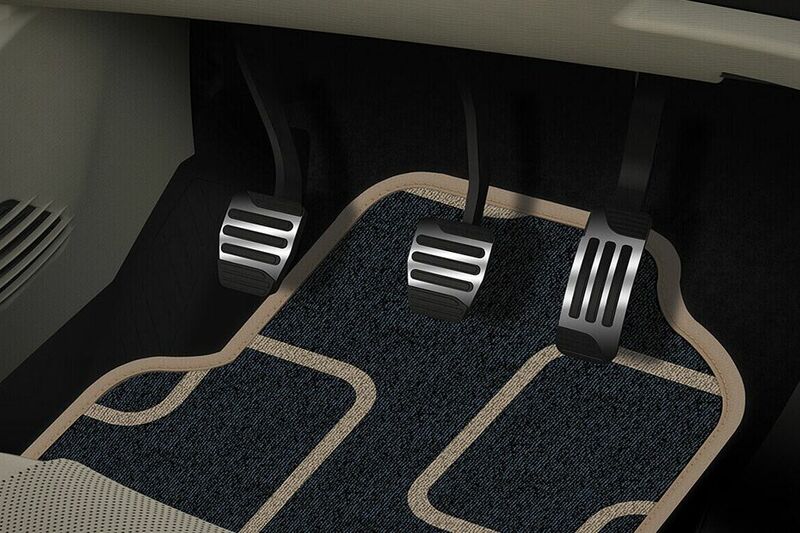 While 6-speed automatic transmission is available as optional for W8 and W10 trims. Terrano comes equipped with a 6-speed manual gearbox for 1.5 litre (110 PS) diesel engine and a 5-speed manual gearbox for other two engines. Like Terrano, Renault Duster too has its 110PS diesel engines paired with 6-speed manual gearbox, while the other two engine are mated with 5-speed manual transmission. DDiS 320 engine of S Cross gets a 6-speed manual gearbox, while the DDiS 200 engine is mated with a 5-speed manual transmission , Creta's petrol version and 1.4-litre diesel engine comes with 6-speed manual gearbox as standard, while the 1.6-litre diesel version come with both 6-speed manual and a 6-speed automatic transmission option., In Tata Safari Storme, VARICOR 400 engine is mated with a 6-speed manual gearbox, while the rest are available with 5-speed manual gearbox. 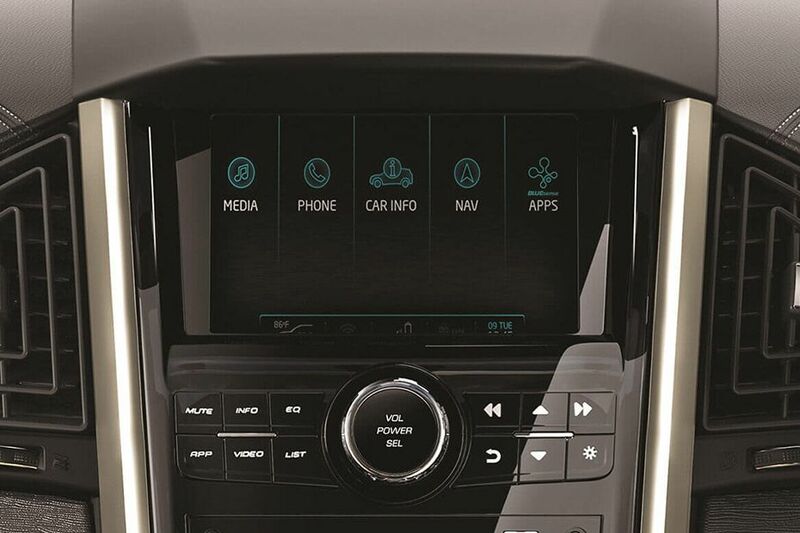 XUV500's W8 and W10 trims come with a 7 inch touchscreen infotainment system featuring GPS, USB support, Bluetooth and iPod connectivity. 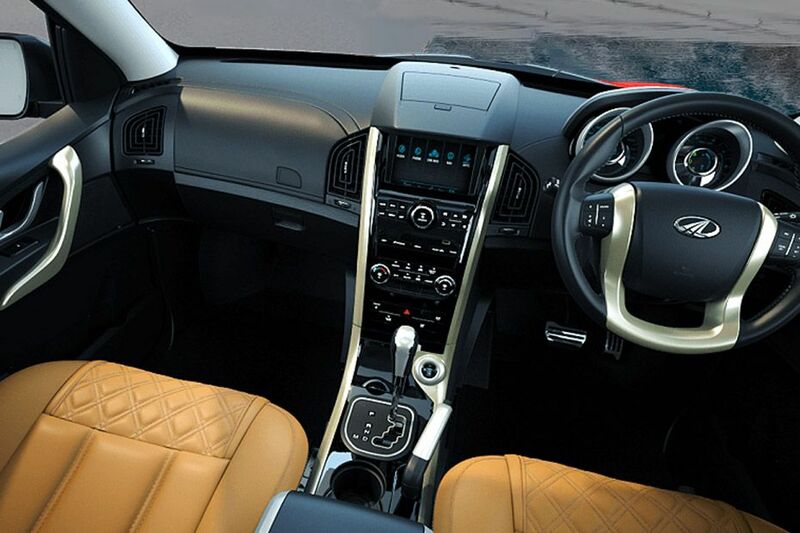 Its W6 trim has a standard infotainment system. 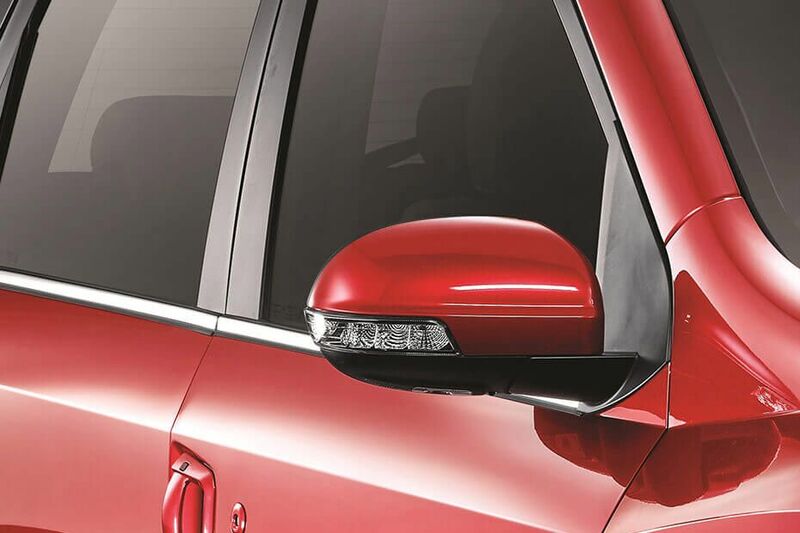 Mahindra XUV500 gets all four power windows as a standard feature. 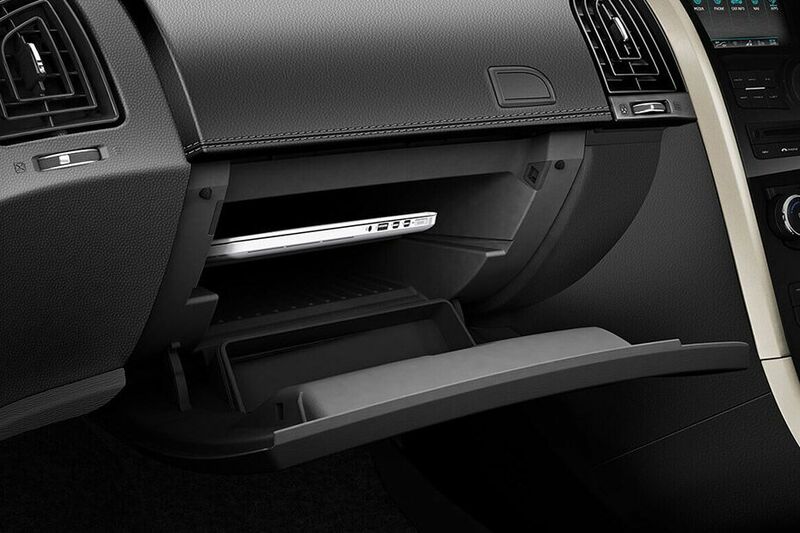 Mahindra XUV500 has a few storage options like Glovebox with laptop holder, flexi seat configuration for convenient storage and drink holders. 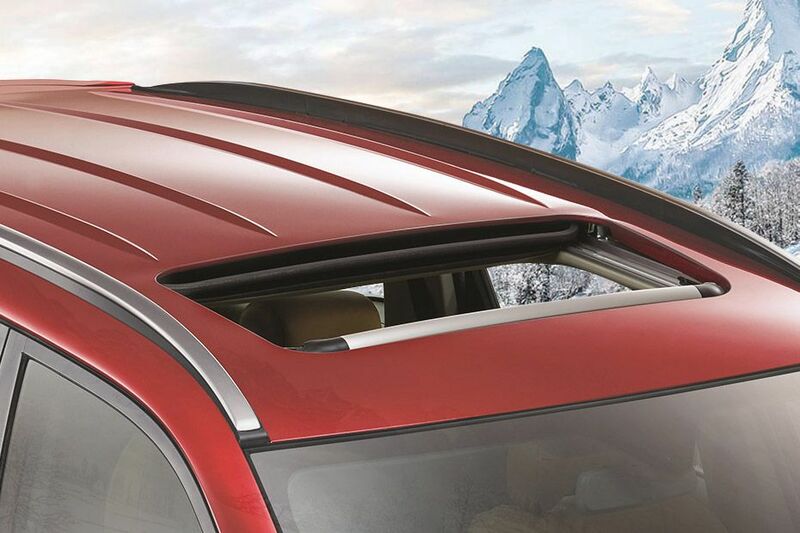 XUV500 gets rear AC vents as standard in all trims. 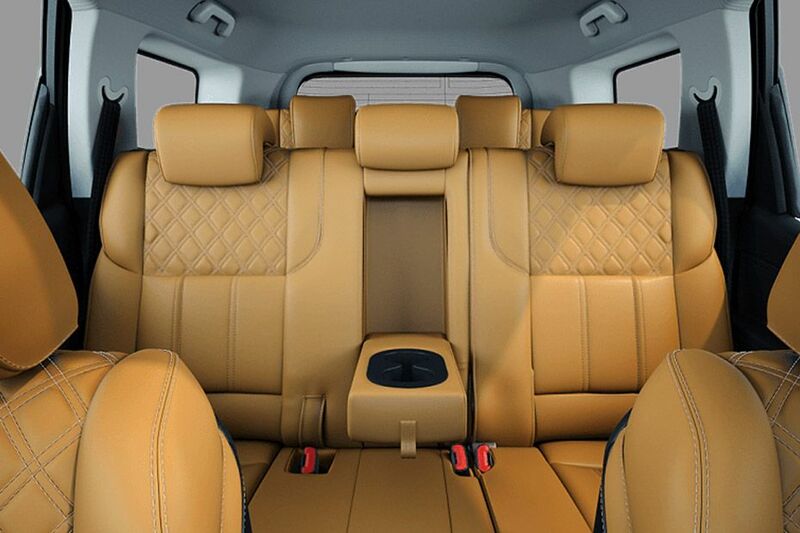 Mahindra XUV500 has folding rear seat that helps to release extra storage space. 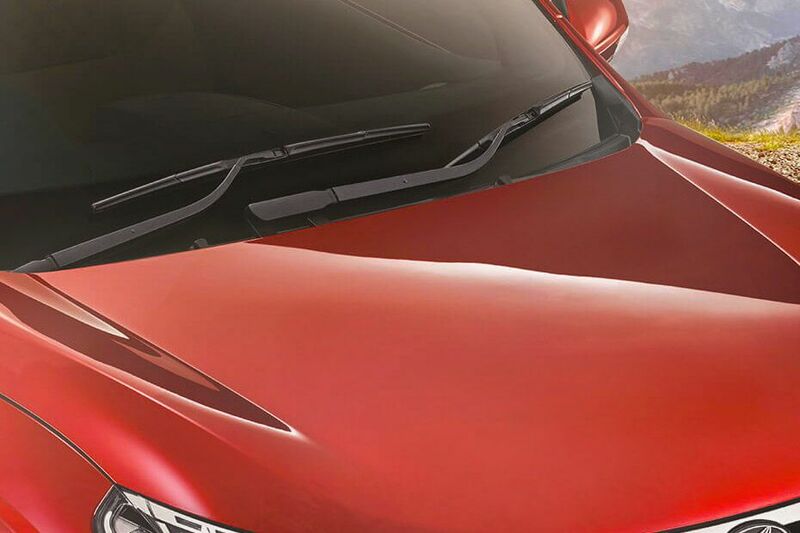 XUV500 has dual front airbags as standard across all trims. While W8 and W10 trims also features side and curtain airbags. Terrano gets driver airbag as a standard feature. 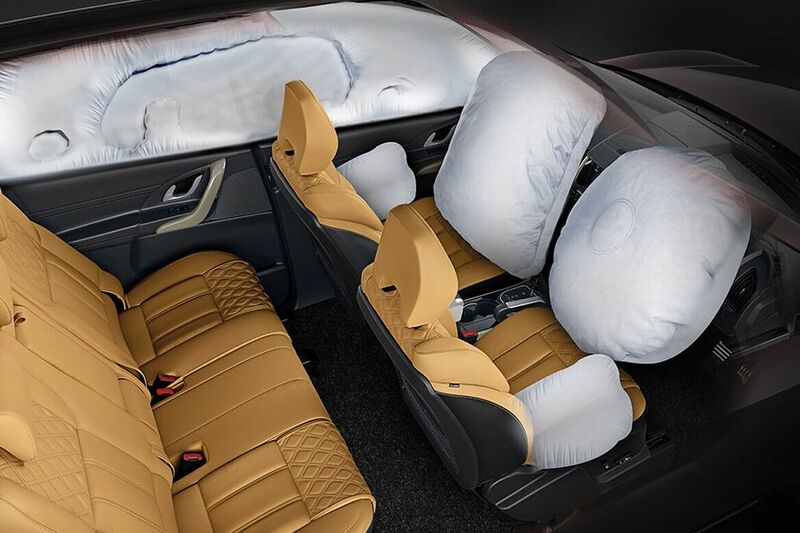 Passenger airbag comes as standard from XL Plus variant onwards. 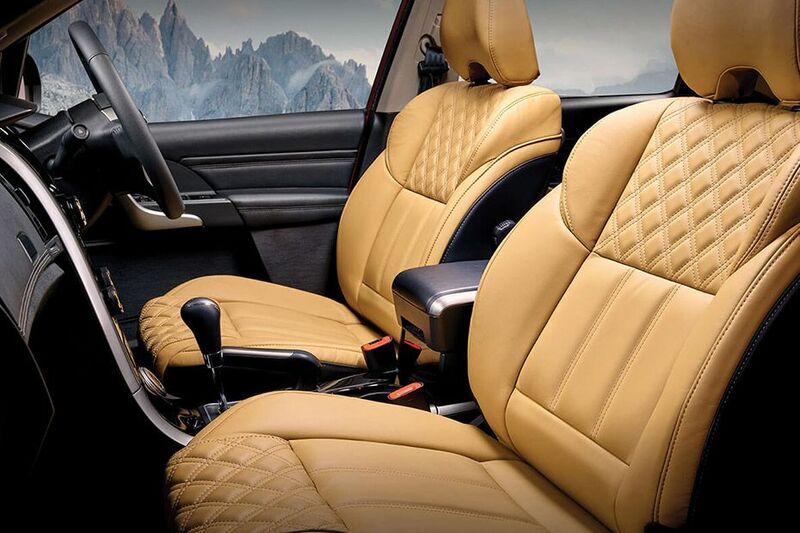 , In Duster, except the base trim and RxL 85PS trim, all other variants features driver airbag as standard. While the top end version gets dual front airbags., Dual front airbags are present as standard in all variants of S Cross., Creta comes equipped with 6 airbags in the top variant. While S+, SX+ and SX trims come with dual front airbags., Only the VX trims of Tata Safari Storme gets dual front airbags as standard. 6-way power adjustable driver seat is available for W10 trims. 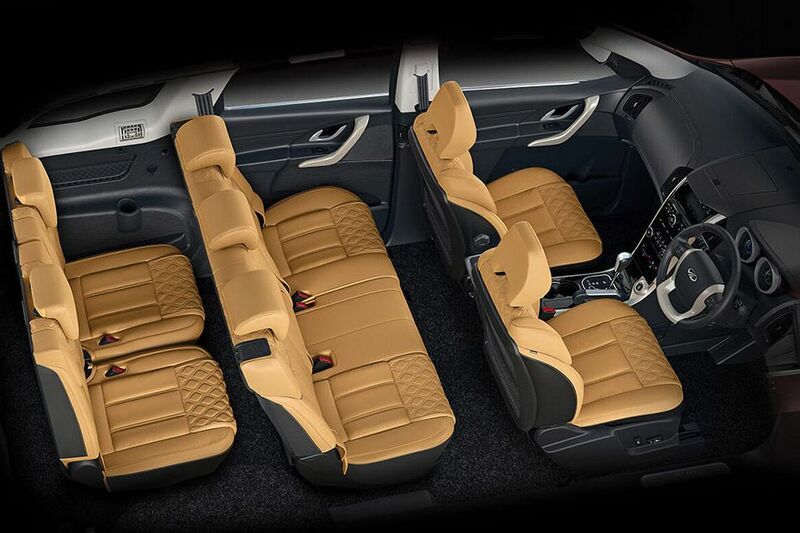 Tata Safari Storme is perhaps the most spacious SUV in this class. 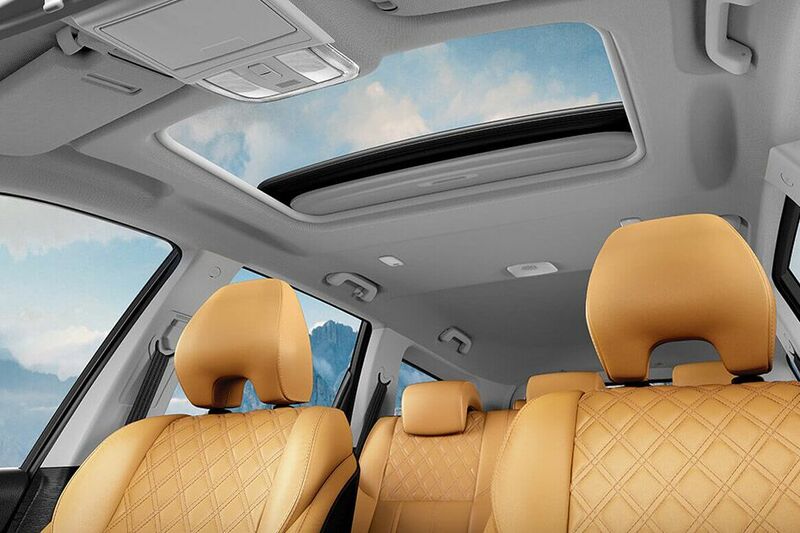 After Storme, it is XUV 500 that leads with cabin space, especially with regards to head space, shoulder room and leg space.